This is a 1.5 inch 8-9 oz. Dutyman Garrison belt. Black in color. This style comes with a gold belt buckle. 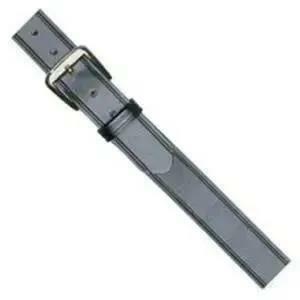 Also available in a silver buckle. Designed for law enforcement personnel.